The first time you stand in St. Mark’s square and traverse the bridges that criss-cross busy canals, you immediately understand the relationship between Venetians and the sea. This love affair with the water will take you on a journey of the Venetian Doges and Dukes who created the empire that built the jewel of the Adriatic. This summer, learn about boat making, discover the secrets of building a floating city atop a marshy lagoon, and consider how a city state became a major maritime and commercial powerhouse during the Middle Ages and Renaissance. Then, like Venetian explorers throughout time, look beyond Italy’s borders toward the sea to embark on a journey through coastal villages and towns from Slovenia to Croatia and see for yourself the incredible influence of La Dominanteon her Adriatic neighbors. It all begins in Rome. Spend a few days with your new friends tasting fresh gelato in the Piazza Navona, feasting your eyes on Michelangelo’s Sistine Chapel and learning survival Italian phrases as you explore from the Trevi Fountain to the Pantheon. Journey northeast to The Queen of the Adriatic to immerse yourself in the history, art, architecture and culture of Venice. Learn from boat-builders, crystal makers, historians, gondoliers and artists. Get lost in the maze of narrow alleys, descend to watery depths to see how a city can float, and navigate Venetian waterways. Then travel north to Treviso to become part of an Italian family. Enjoy long family meals of homemade risotto, a passeggiata past frescoed homes and a cappuccino in a medieval square. Learn local dialects and connect deeply with Italian life and the culture of the Veneto. Equipped with new language skills and confidence, travel through Friuli to the Adriatic coast. Trieste, a city with a distinct Austrian feel, is a jumping off point on an adventure that takes you to Slovenia and Croatia tracing the footsteps of Venetian explorers. Boat to Piran, Slovenia where locals still speak some Italian. Sample seafood in Tartini Square, walk the promenade along beautiful beaches and feel the Venetian influence all around you. In Rovinj, Croatia, eat fresh seafood, hike cobbled streets and swim in the warm waters of the Adriatic sea before returning to Venice and the journey home. Visit St. Peter’s Basilica, the largest church in the world. Taste fresh gelato in the shadow of the Coliseum. Practice survival Italian language skills with locals on the Spanish Steps. Order your first meal in Italian in a cafe near the Trevi Fountain. Using a map and new language skills, navigate the way from Piazza Navona to the Pantheon. 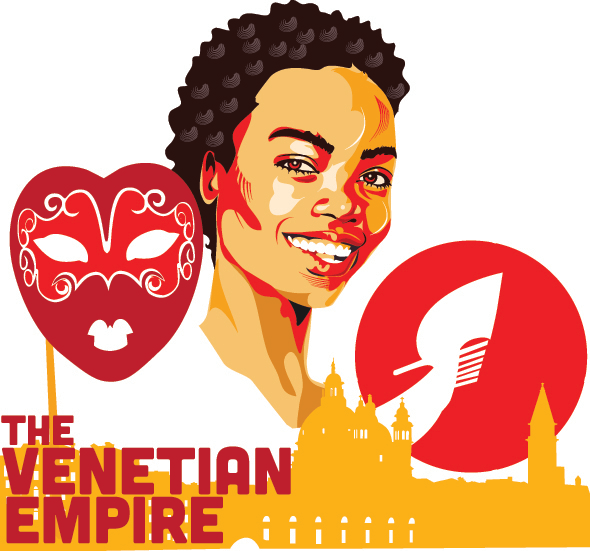 Develop an understanding of the strategic, cultural and historic importance of the Venetian Empire throughout the Mediterranean. Meet boat-builders, gondoliers, art-historians and craftsmen. Discover the secrets and artistic treasures of the floating city. Buy fresh fish and vegetables in the Rialto Market. Learn how to make fresh pasta. Explore Treviso’s medieval labyrinth of streets and alleyways. Relax with new friends in the Piazza dei Signori. Develop your Italian language skills. Travel to Trieste in Italy’s Friuli region. Ferry to Piran, Slovenia to explore Tartini Square, see the 15th century frescos of Hrastovlje and visit the Sergey Masera Maritime Museum. Cross the border into Croatia for a few days in Rovinj. Hike the pathways and boardwalks of Punta Corrente park through hidden coves and past coastal vistas. Interview locals in the warren of alleys and narrow cobbled lanes in Old Town. Return to Venice for a final meal and discussion about re-entry before the journey home.